Do you have problems with your Apple Mac Bournemouth Poole? North Dorset Mac Man cover’s the whole of Dorset from North to South, West to East. 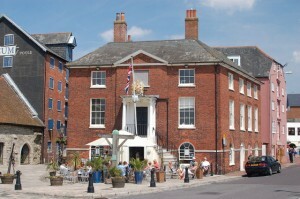 We are happy to travel out to see you in your home or business anywhere in Dorset. 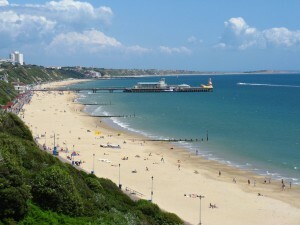 The company was founded just outside Blandford but now we have a workshop in Boscombe, Bournemouth too. This means quicker response times when you have problems with your Apple Mac especially in emergencies. We can assist you whenever, and whatever your need. Is your computer running slow? Call today 07590060036 or contact us and we can see you and your computer as soon as possible, we’re the best Apple Mac Bournemouth & Poole specialist there is. We’ve many happy clients across Dorset as our testimonials attest and we’re adding to our small business client base as well. When our clients find us, they stick to us! We know how difficult it can be when your computer starts to slow or breaks down and needs repairs in an emergency. Unlike some rural parts of Dorset those clients in Poole and Bournemouth have more options available but we pride ourselves in the personal level of support we provide. We can also come to your home to scrutinize all of the elements in your usual setup which helps us make the best assessment with all the available information. There’s nothing more frustrating than taking your broken Apple to a shop only to find the problem you’ve been experiencing doesn’t show itself! "David was absolutely brilliant to work with. He is very patient and so easy to communicate with. Am so pleased with the final result of my new website. Thank you David"
"As a solicitor working from home without a designated IT support department, I needed to find someone who could assist me quickly when I encountered problems with my Mac. David was friendly, professional and knowledgeable. I'm pleased to have found someone I can call on whenever I have IT problems, and someone who can react quickly to my requests." "Tip-top personal service, David always goes the extra mile to make sure we're ok"